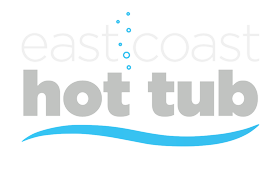 Our hot tubs are delivered using fully training hot tub delivery teams. We use a system called the spa dolly or spa slae to take your hot tub into position in your garden and place where you require. – We offer free delivery and positioning to UK mainland. – Installation including setup and demonstration £199 if not apart of offer. With some of our range we offer free installation. please note positioning and setup are subject to suitable access and electrics in place. Minimum of 1 metre entrance required. Ensure there is nothing protruding such as drainage pipes or sills that could obstruct the way. Check to see if there are any low roofs or branches that would hinder vertical clearance. If there are any corners on the path to your designated installation site, check to see the hot tub will pass. The hot tubs will be delivered on the side so ensure the hight of the spa will fit through any gap. If you are unsure please contact us for further advice. We may require pictures of route and any problem areas. Under special circumstances, where there is no clear or easy route, a crane can be used to position your hot tub. Please contact a local crane company to arrange this service if you think it may be necessary. Please note that the cost of the crane would be charged extra. The majority of our hot tubs require a 32amp power supply with a RCD, you will need a 6mm armoured cable running to the hot tub with an ip65 isolated switch located no more than 2m away from the hot tub and around 3m of extra cable ready to connect to the spa. All hot tubs will need installing by a part p qualified installer, If you need support finding a suitable installer please contact us and we will help. The base where the hot tub will be situated will need to be able to take the full weight of the spa with water and bathers in it. It must also be flat and level. Please be advised that return visits due to non-preparation of base, poor access, unsuitable ground or obstacles, unsuitable electrical/water supply, etc are chargeable at the Company’s hourly rate.